In Copenhagen not every store has a restroom or toilet as it is referred to here. It can sometimes be hard to find a clean, warm and easy to get to toilet when it is urgent with your child. 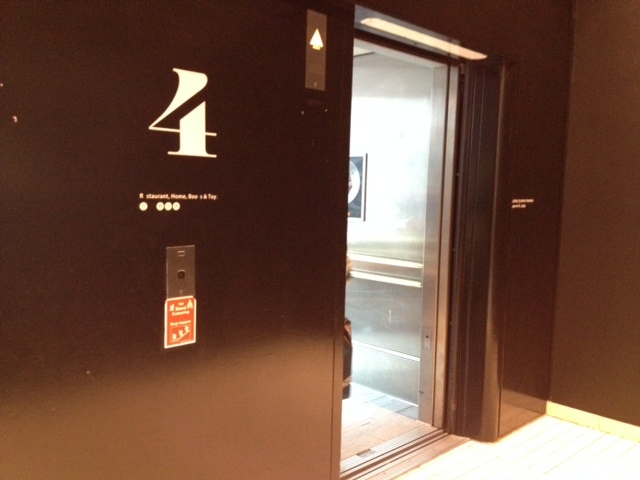 Here’s an insiders tip on the best public toilet in Copenhagen….Illums top floor. Illums is located at Østergade 52, but you can actually access this lovely large restroom without weaving through the cosmetic section, up three escalators while your child gets distracted by every shining object. If you’re looking at the front of the store turn left and walk to the corner, then make a right ( away from the stork statue). The street is called Købmagergade. Enter Illums through the entrance just next to Holms Bakery. This hidden city gem ( best public toilet) is accessible by express elevator #4. That’s right you don’t even need to enter the store. And that is not all, there are two more benefits to taking this route. The first is the elevator is glass. Yep, you can see the city as you take your trip up to the top. It offers a great view of the stork fountain – Storkspringvandet. Once to the top, you will see the bathroom to the left just past the cafe. There are plenty of stalls if you have a big party with you. The second benefit might not be a bonus for you. Hamley’s toy store is within eye shot view of the bathroom. So, if you’re in a hurry, you might need to pre-think a quick escape plan before you exit the elevator. But just think, this could be an amazing way for you to get a last minute gift you need or give you time to relax and enjoy the playfulness of toys. Hamley’s Toy shop from London offers top brands such as Barbie, Plus Plus, Mattel, Djego and more. Click here to read our review of the Hamley’s. It’s bright red color can be very attractive to little wondering eyes and they are bound to want to check it out. If you have little little ones, they have a fantastic play area. So why not think about grabbing a coffee at the near by cafe, also just near the toilets. Take a load of and relax as your kids get to play for a bit. Most parents out on the town with their kids can hardly say no to stopping for a breather. So both you and your child will get a big ahhhh from knowing this miniCPH insiders tip for parents.